Fitness or workout regimes are usually only considered when someone needs to lose weight, build muscles or have been instructed to do so by their doctor. But statistics show that an increasing number of Medical professionals have been recommending special exercises to help patients who suffer from joint pain instead of traditional treatment options. Swimming is often the most highly recommended exercise to help treat joint pain. This is a much safer alternative than expensive medication that simply camouflages the pain. Being sceptical about a new treatment option is natural and I wouldn’t be surprised if you were probably wondering if swimming can actually help manage your pain or if it is really safe. That is why I want to share the results of my research so that you can decide whether this option is right for you. It goes without saying that getting more exercise usually proves beneficial to your health. 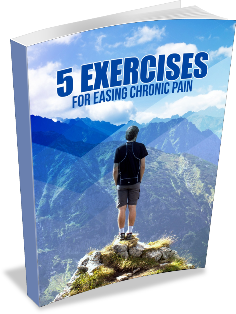 The issue with patients who suffer from joint pain is that even simple exercises can cause excruciating pain. Swimming is however highly recommended because unlike weight lifting and most cardio exercises, swimming does not require the patient to put any additional pressure on their aching joints. This occurs because water’s natural buoyancy reduces the impact of the pressure you are putting on your joints as you patient move in the water. Swimming also comes highly recommended because heated pools can help to sooth joint pains. Regardless of the temperature of the pool, many patients often experience an improvement in their range of motion after making swimming a consistent part of their recovery regime. Swimming is also quite relaxing and has been proven to help control or even prevent depression. Despite all the advances being made by modern medicine, it is undeniable that there is a link between our emotional wellbeing and our physical health. The intense stress we face on a daily basis is toxic and the body manifests the effects of high levels of toxicity in many painful ways. Swimming releases endorphins and this hormone is responsible for making us feel good. Our bodies also produce more norepinephrine when we exercise regularly and this chemical helps our brains better cope with stress. Swimming will not get rid of all your problems but it will help you to cope despite your many challenges. Since swimming helps you to burn quite a bit of calories, it also helps to promote a healthy body weight. Morbid obesity has become a global epidemic. Unfortunately, being overweight not only triples your chances of suffering from lifestyles diseases like diabetes, heart attacks and strokes, but is one of the leading causes of joint pain. Swimming is thus an easy way to get rid of excess weight and finally get the kind of body you have always dreamed about. That is sure to give your confidence a boost. Swimmers naturally appear lean and toned. Swimming is often described as the only complete workout because it requires that you use almost every muscle in your body. Since water has a greater resistance than air, swimming requires that you exert more effort and thus burn more calories than you would while doing the same movements on land. Getting sufficient exercise ensures that your blood circulates efficiently and keeps your heart healthy. Working up a sweat also helps to improve your memory and overall brain function. This has been scientifically proven since exercise increases your body’s ability to produce a special protein known as BDNF which is responsible for your decision making, reasoning and learning abilities. Sadly though, a large percentage of our population has not learned how to swim. If that is true in your case, do not despair since there are other ways to reap the benefits of swimming. Water Walking is one such option and it is rapidly increasing in popularity all over the country. This requires no swimming skills whatsoever and is usually done in chest level water. This exercise combines periods of brisk walking, knee lifts, arm pumping and rest in order to make the best use of the water’s resistance. Whether you swim or walk, you can better manage your joint pain by simply visiting the nearest swimming pool.